That guy makes Jesse Ventura look almost statesman-like. This entry was posted in Uncategorized on September 15, 2013 by Stephen Silver. 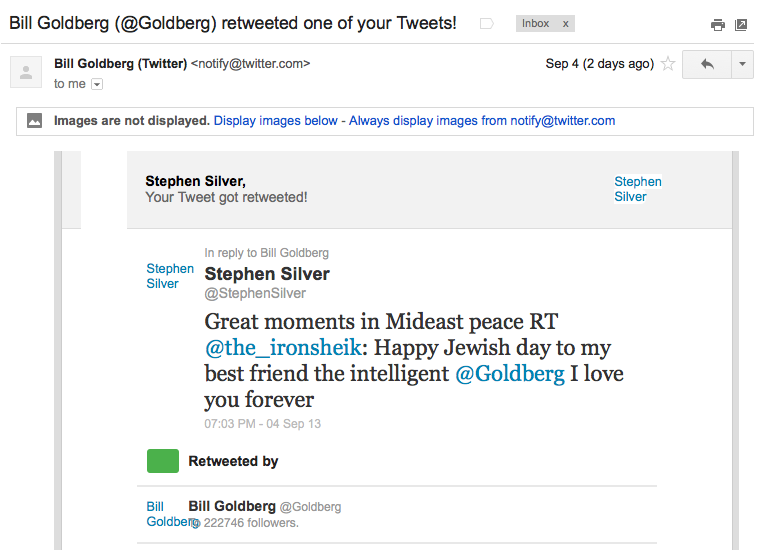 This entry was posted in Uncategorized and tagged Goldberg, Rosh Hashanah, social media on September 6, 2013 by Stephen Silver.